I took this picture from my back porch in Tucson, AZ. 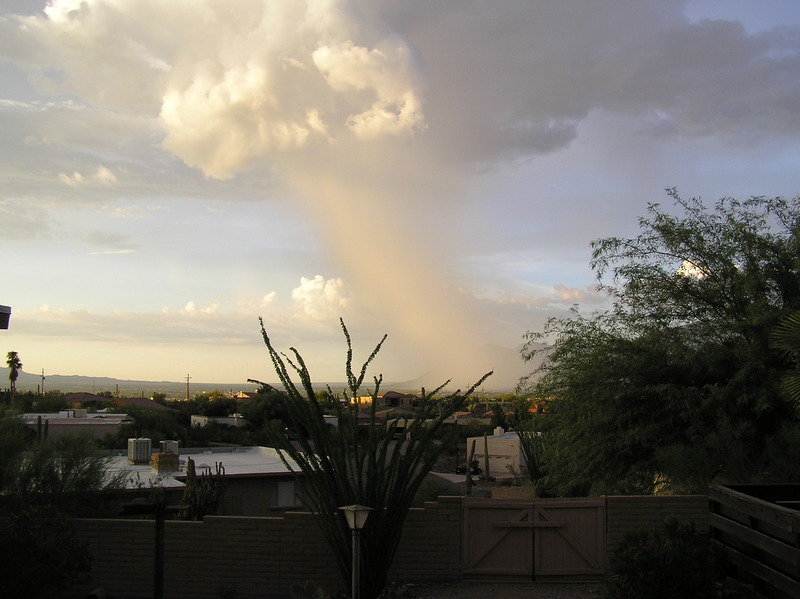 It shows how rain can be very local in Tucson as a T-storm moves across the city. (Aug 11, 2007).